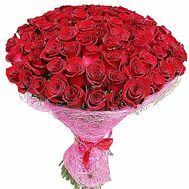 VIP bouquets are the biggest and most expensive compositions on our website. 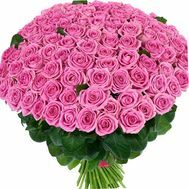 But, despite the high cost, such bouquets are really exceptional and presentable. VIP gifts are given only to the dearest people who you want to surround with your care and attention. 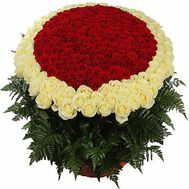 If there is a significant event ahead of you that you want to remember for a long time, then luxury bouquet is what you need. 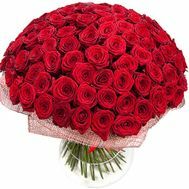 The most popular bouquets in our store are bouquets of flowers from 101 roses, 201, 501,1001 roses, 1001 tulips, 55 chrysanthemums. Each of our compositions, which is in this section, is made up of quality colors. Noble shades of red, white, beige, pink and other colors will help you to emphasize the luxury and luxury of the moment. 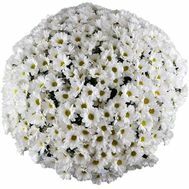 In addition to VIP bouquets of roses, here you will find wonderful compositions from other beautiful flowers, such as chrysanthemums and tulips. 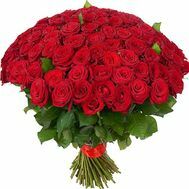 Despite the high cost of bouquets from the VIP category, these are the most desired gifts for everyone. 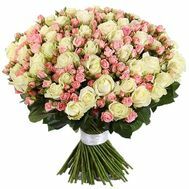 To buy an elite bouquet on our website, just contact our manager and specify the delivery date. 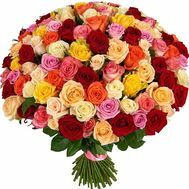 We deliver flowers all over Ukraine. Each bouquet will be delivered just in time. 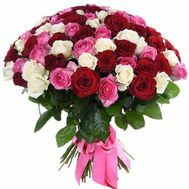 Browse our compositions in the catalog and choose a bouquet that is ideal for your occasion. 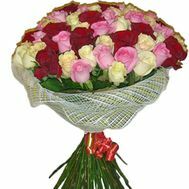 In any case, if you do not find the composition you need, our specialists will be happy to make a bouquet that you like. In addition to luxury bouquets, we also offer gift baskets of flowers decorated with various fruits, soft toys and sweets. Among the options presented by us, you will definitely find what you are looking for. 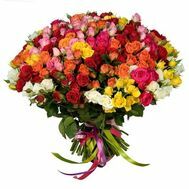 Each VIP bouquet in our online store corresponds to a specific case. 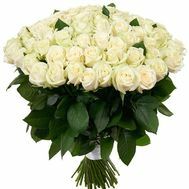 There are special offers for the New Year, corporate, birthday, anniversary of the wedding, as well as bouquets for presentation without a reason. 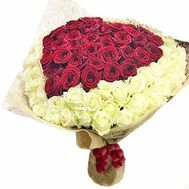 Each delivered bouquet can be accompanied by a postcard and any other gift in the form of a soft toy, alcoholic beverage, sweets or a basket with fruit. 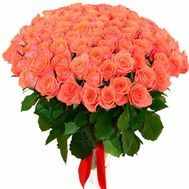 We appreciate your time, so we help you order a bouquet directly from our website. 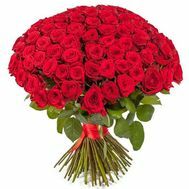 You do not need to waste your time choosing a bouquet and delivering it. We will take care of all these troubles. All you need to do is fill out the order form. 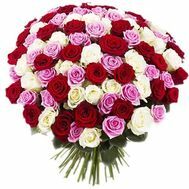 If it's hard for you to decide the choice of a bouquet, ask our florists advice. They will happily tell you which bouquet is best for your event. Choosing our company, you choose high quality service and guarantee that the holiday will take place.